AtomicoNiklas Zennström, founding partner and CEO of Atomico. Skype cofounder Niklas Zennström says that spending two years working for German startup accelerator Rocket Internet is far more valuable than working at Goldman Sachs. 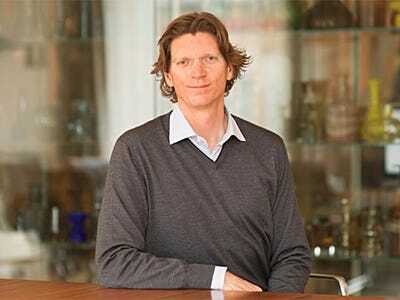 Zennström, speaking at the Startup Grind Europe conference in London on Wednesday, said that Rocket Internet has trained entrepreneurs over the years as it invested in technology companies and helped them scale. After leaving Skype, Zennström became a technology investor, founding VC fund Atomico in 2006. But in recent years Rocket Internet has moved away from copying US companies to building homegrown talent. It went public in 2014 and was valued at €6.5 billion (£5.1 billion).